Show how much you care with flowers from FLEURISTE ST-BENOIT- Ann Marie Maurice. Call us today! 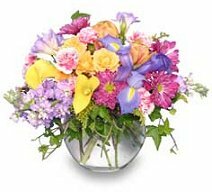 We're a local Mirabel, Quebec florist proudly serving the area for over 25 years. We specialize in delivering courteous, professional service and the highest quality floral and gift items around. Call or stop by our shop in Mirabel. Choose from our nice selection of Green & Blooming Plants, Dish Gardens, Fruit & Gourmet Baskets, Gift Baskets, Candy, Silk Flowers, Stuffed Animals and more! Call or visit us today… we look forward to meeting you! 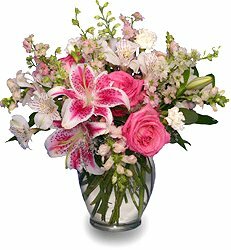 Thank you for visiting our website for flowers delivered fresh from a local MIRABEL, QC florist and easy online ordering available 24 hours a day.